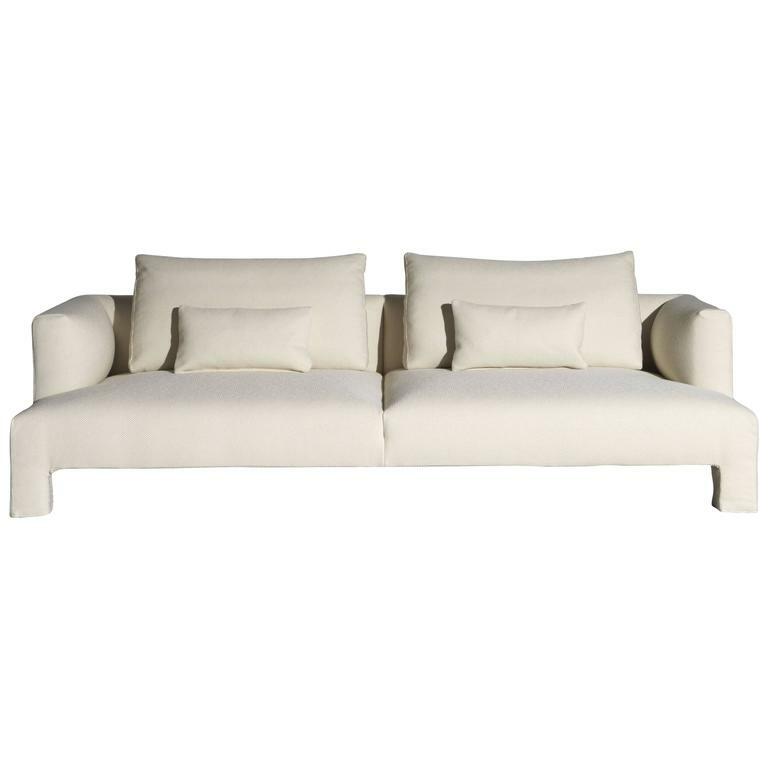 The "Mod" three-seat sectional sofa is designed by Ludovica +Roberto Palomba and manufactured by Driade. 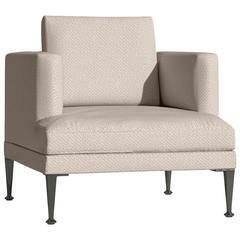 "Mod" is available in various modules, with or without backrests make this an extremely versatile system. 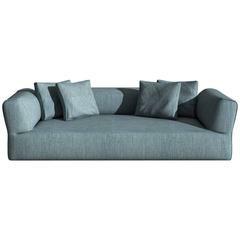 Modular sofa is made with a stainless steel frame, fitted with stretch straps and polyurethane foam seats with different densities. The backrest cushions are filled with goosedown. 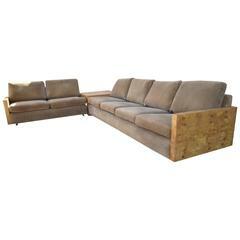 Available with a removable fabric cover or a non-removable leather one. This is an unquestionable advantage that offers freedom, a real opportunity to arrange your world every day in a different way. For the Palomba+Serafini studio, simplicity is sometimes an intuition in which the rigorous geometry of forms is renewed without abandoning the principles of the purest elegance and of the most essential minimalism. 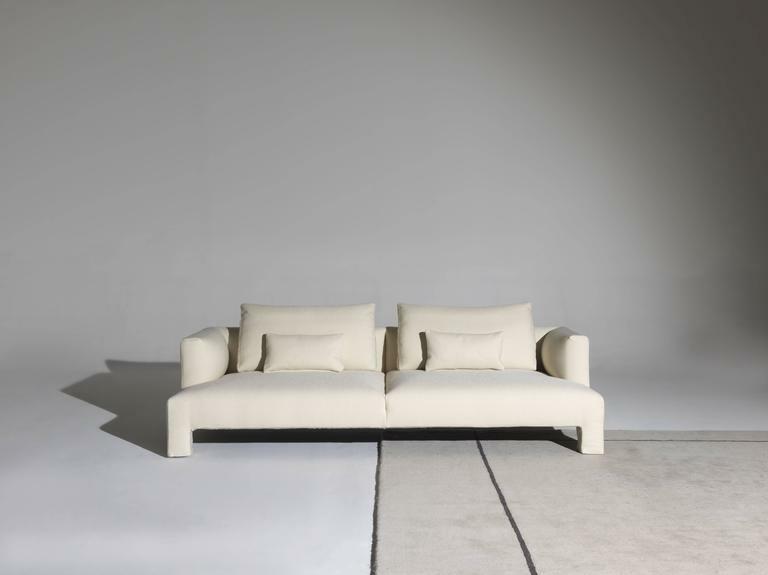 The lines of this modular sofa are never interrupted by elements that traditionally create a separation: the large seat stands on feet that are integrated in the frame of the sofa itself; an innovation that may seem obvious, but that is really brand new. 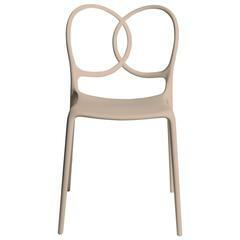 The project is completed by the Mody armchair and, viewed as a whole, has a bold character and an appealing personality. 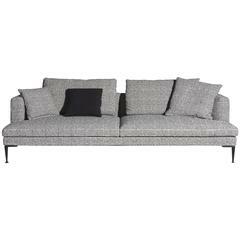 A Danish three sectional modular sofa with chromed feet. Red, mustard, grey and buff chequered woolen upholstery. Each section has 12 buttons.